I read the AM paper which is a local newspaper in Manhattan New York. I saw four different ads advertising Spinal Decompression therapy. Most of these ads in my opinion insult the readers intelligence by making claims that this is a NASA endorsed treatment. This treatment is extremelly succesful in relieving pain from herniated discs and spinal stenosis. NASA does not endorse this treatment nor did they invent it! 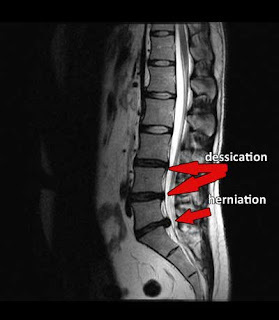 The way this goes is the astronauts went into space and came back with more disc space but they actually had back pain due to muscle wasting. I do not claim that treatment is a NASA discovery but I have patients understand the benefits and try to present them with as much information as possible so they can make an educated and informed decesion. I also have allot of inquires into the DRX 9000 machine and I let everyone know that it is just one machine and most all of the machines work because I have worked with all of them at one point.